Using candy hearts, we learned about measurement, counting, and numbers! 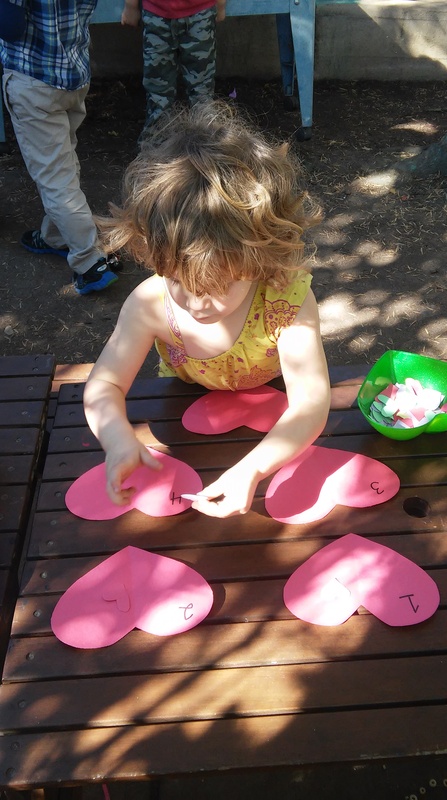 To begin with, each child was given five paper hearts with various numbers written on them. 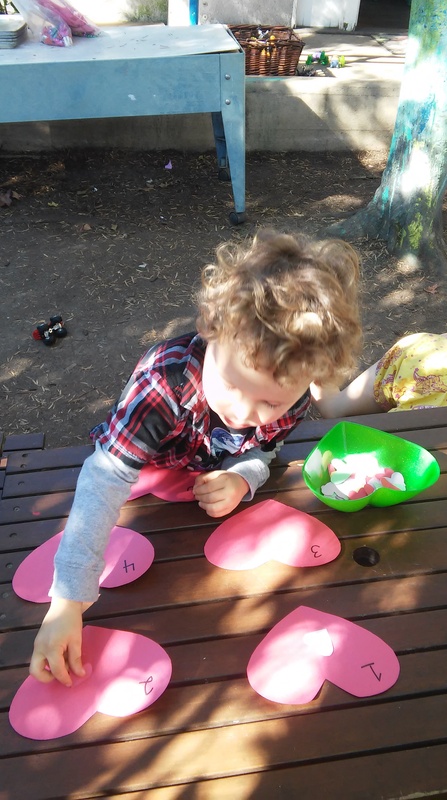 They then placed a number of candy hearts onto each paper, counting as they did so. After this, we talked about what the various numbers look like. 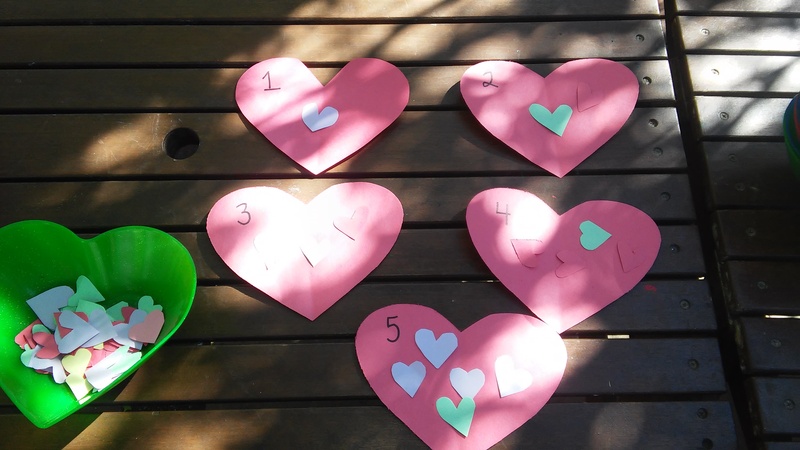 Lastly, we recounted our hearts to double check our answers! By counting, young children gain an understanding of concrete relationships. Students also learn that each object gets one number. In gaining insight of these relationships, they acquire a basic understanding of the abstract. Children at this age also need such experiences to relay abstract concepts. They may look at a number on a piece of paper, but not make the association between that number and an amount.